Since it was invented in 1963, the Easy-Bake Oven has become a classic childhood staple. It’s fun, semi-practical (they are learning a little about cooking, right?) and keeps kids busy so you can catch a break. The one bummer is that the mixes kids need to make their cake masterpieces tend to have a hefty price tag. The good news? You can actually make those suckers yourself for a fraction of the cost. Here are several recipes your kids can use to get cooking. Stir together cake flour, baking powder, salt, red sugar, vanilla, oil and milk until the batter is smooth and pink. 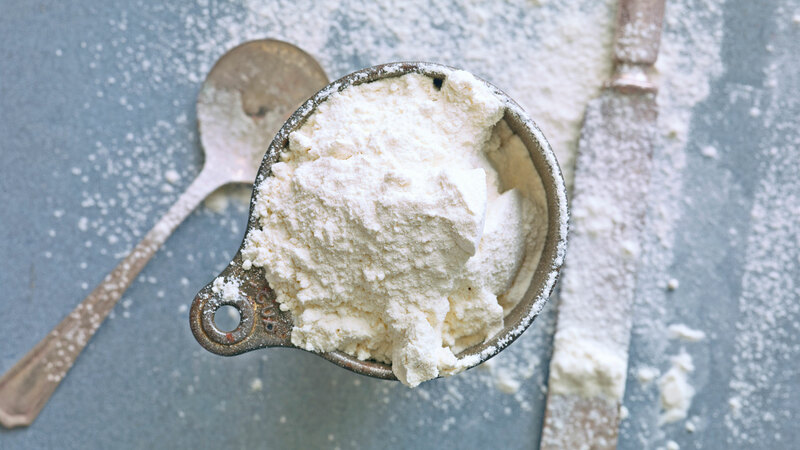 Pour 3 tablespoons of batter into a greased and floured cake pan. Bake 15 minutes. Repeat for the second layer. Allow the cakes to cool completely. Put a small dollop of frosting on a small platter or other base for your cake. Put one of your cakes on the dollop and gently press down (this will keep your creation from sliding around while you decorate). Spread a layer of frosting on top of the first cake. Top the first cake with the second cake. Frost the entire cake, including the top of the second cake and the sizes of both. Preheat the oven for 15 minutes and grease a toy pan. Combine the flour, baking powder and salt, then cut in the oil while kneading. Continue kneading, adding the milk slowly as you do (you may not need it all or you may need a bit more — you want a play doughlike consistency). Roll out the dough and put in on the greased pan. Make sure to cover bottom and up the sides of the pan, like you’re making a deep-dish pizza. Spread a thin layer of sauce over the bottom (only) of the pizza crust. Sprinkle the cheese on that. If desired, add additional toppings. Don’t go overboard. You’ll probably only need two or three pieces of each topping. Bake 15 to 20 minutes. Sprinkle with Parmesan if desired. Preheat the oven for 15 minutes and grease and flour a toy pan. Blend the sugar, flour, oil, vanilla and chocolate syrup until the batter is smooth. Pour the batter into the pan. Bake it for 15 minutes. Let it cool, and then cut it into pie-shape wedges or squares. Preheat the oven for 15 minutes. Grease and flour a toy cake pan. Blend the cake mix and water. Pour the batter into the pan. Bake for 10 to 12 minutes.